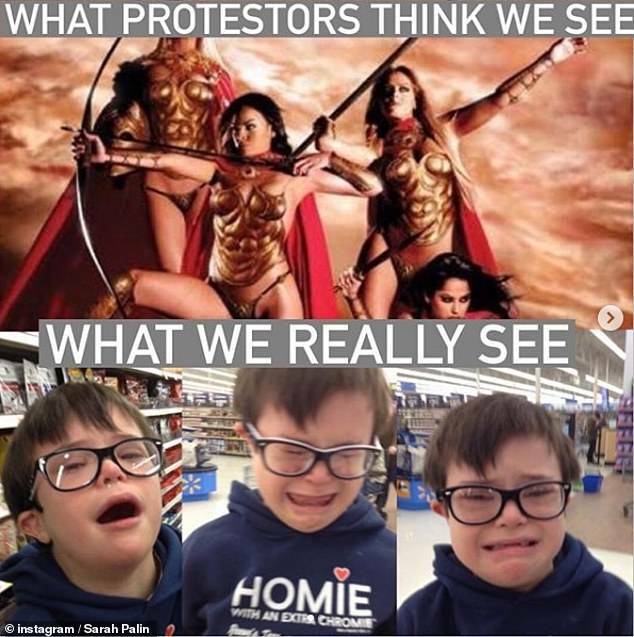 Sarah Palin Rants At Instagram For Deleting Her Meme Comparing Liberals Protesters To Down Syndrome Son - Joe.My.God. 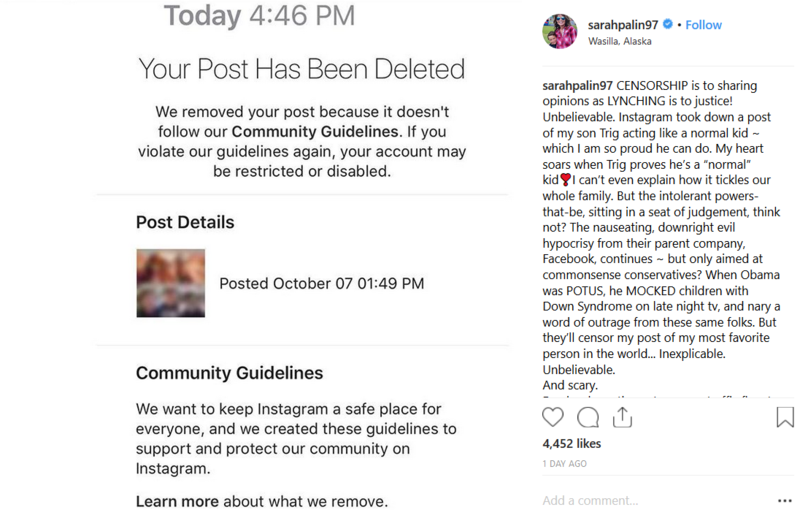 Sarah Palin has slammed Instagram as biased against conservatives after the company removed a controversial image she posted which used her own son with Down Syndrome to mock liberal protesters. 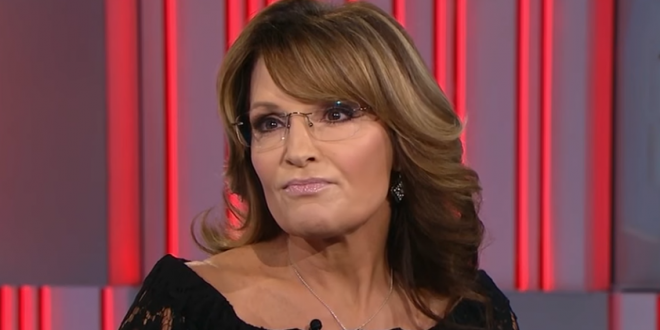 Palin posted the meme to her Instagram page on Tuesday, and the company removed it on Friday for violating “community guidelines” after intense outcry over the image. Controversy erupted after Palin posted the original meme, which appeared to be in response to intensifying protests over the confirmation of Supreme Court Justice Brett Kavanaugh. Protesters is spelled wrong in both the meme’s caption and the writing next to her Instagram post. CENSORSHIP is to sharing opinions as LYNCHING is to justice! Unbelievable. Instagram took down a post of my son Trig acting like a normal kid ~ which I am so proud he can do. Unbelievable. And scary. Facebook continues to censor traffic flow to my website, too. Ummm, Zuckerberg, you were in Alaska recently.. did you not learn a thing about Mama Grizzlies when you visited?